In Daevabad, where djinn can summon flames with a snap of their fingers, where rivers run deep with ancient magic, and blood can be as dangerous as any spell, a clever con artist from Cairo will alter the fate of a kingdom. Nahri's life changed forever when she accidentally summoned Dara, a formidable, mysterious djinn, during one of her schemes. Thrust into the dazzling royal court of Daevabad, she needed all of her grifter instincts to survive. Now, as Nahri embraces her heritage and her power, she must forge a new path. 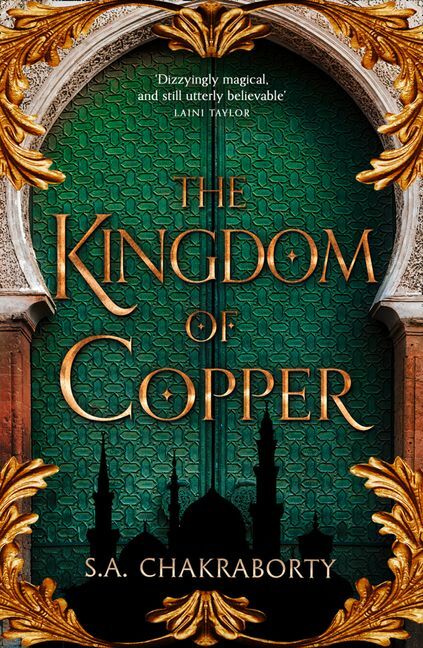 Exiled for daring to defy his father, Ali is adrift on the unforgiving sands of his ancestral land, hunted by assassins and forced to rely on frightening new abilities that threaten to reveal a terrible family secret. And as a new century approaches and the djinn gather within Daevabad's brass walls to celebrate, a power in the desolate north will bring a storm of fire straight to the city's gates . . .
S. A. Chakraborty is a speculative fiction writer from Queens whose work has appeared in Crossed Genres, Expanded Horizons, The Future Fire, Fey Visions of the Mediterranean, and Kaleidocast. An organizer with the Brooklyn Speculative Fiction Writers' group, she can be found on Twitter at @SChakrabs. The City of Brass is her first novel.